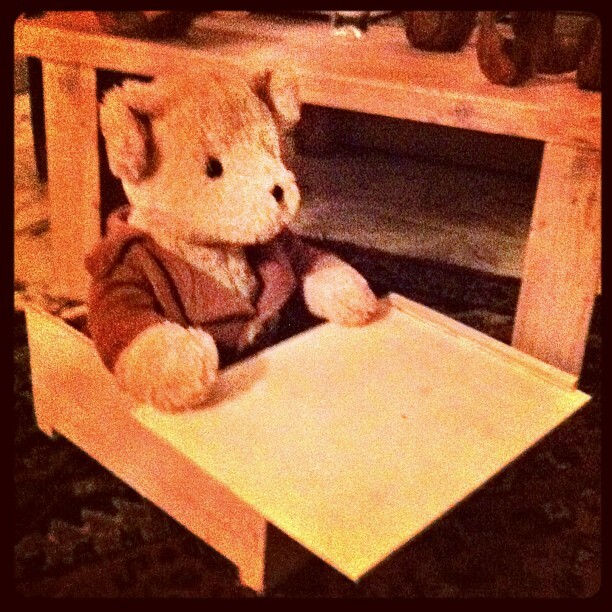 using the wooden box he found somewhere in the garage. 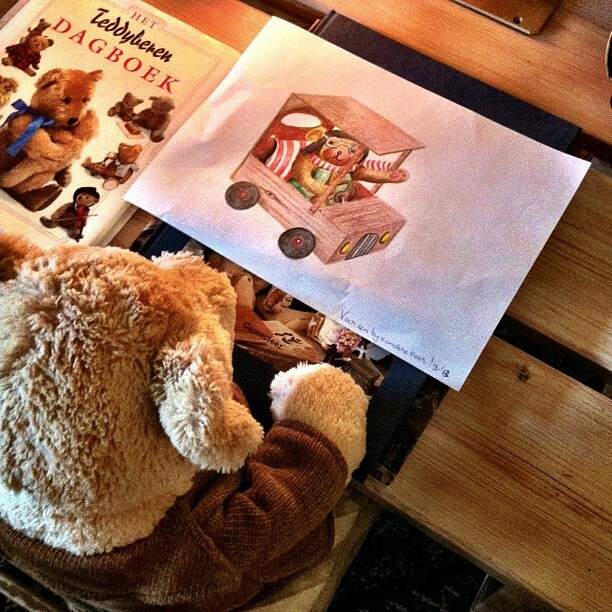 After this tweet, Sabine drew a great car and she sent the original by postmail to Bear’s home! 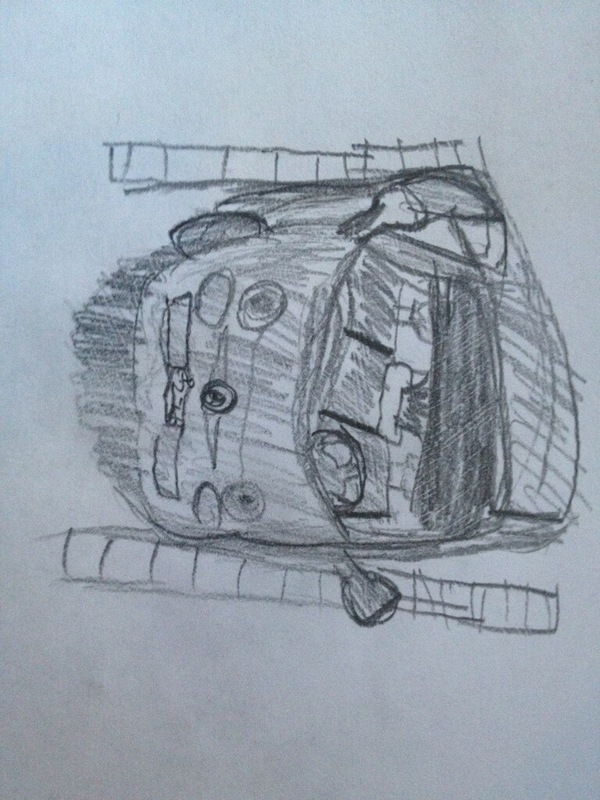 Later on a little friend called Mae also draw a car seen from above. In fact that was a very technical drawing. 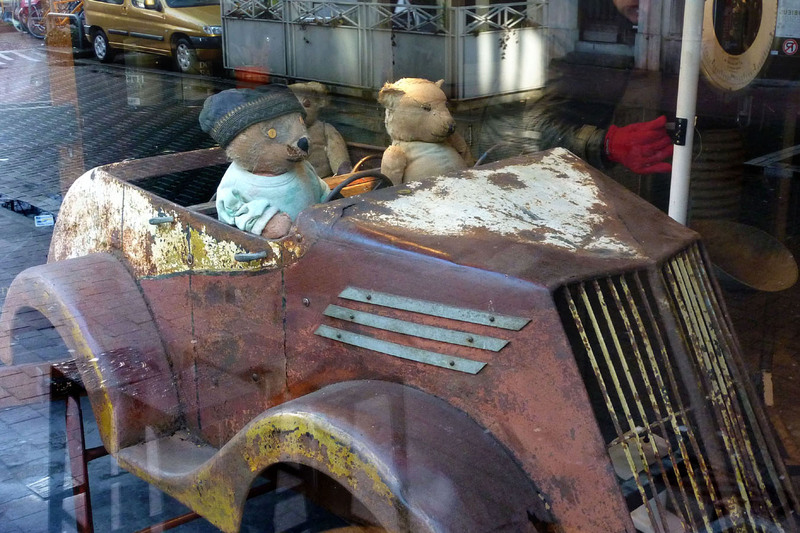 Bear admired it but decided not to try to make that car. 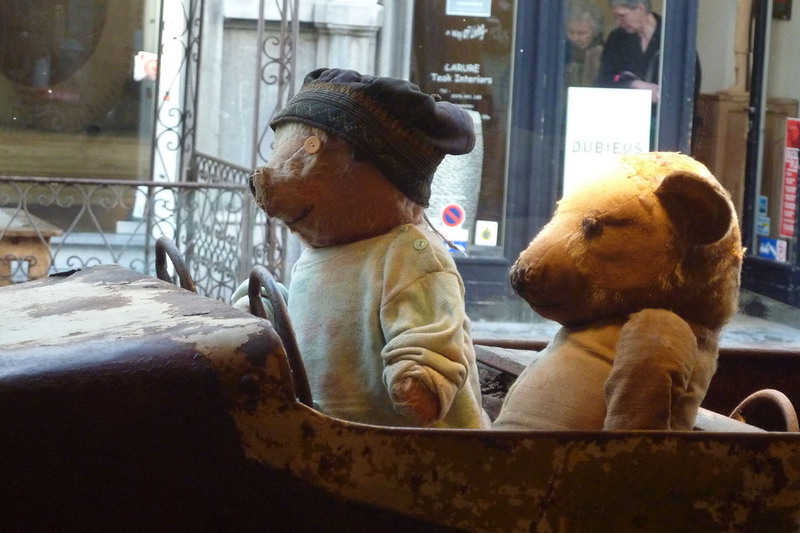 And then an anonymous Bear fan sent some great pictures of two great Bearfriend in a amazing car… spotted in a shop window in Antwerp! Will bear manage to build his car one day?